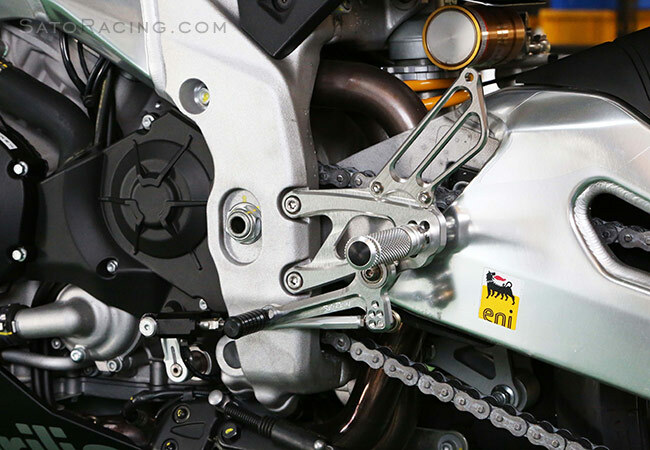 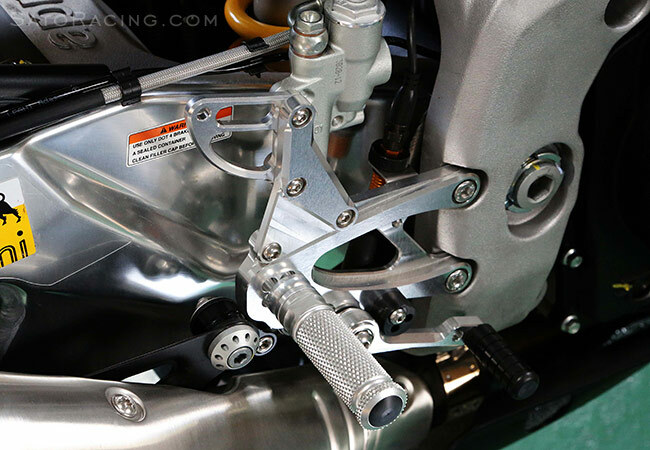 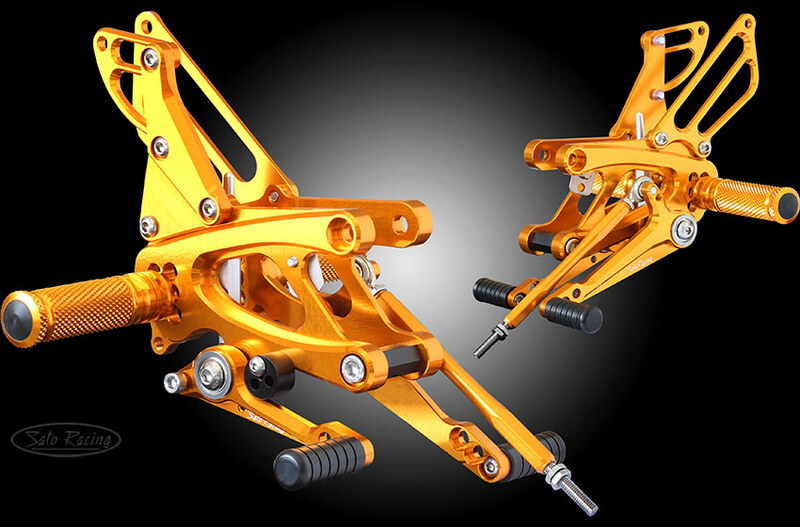 SATO RACING Rear Sets for ABS-equipped 2013-16 RSV4 and Tuono V4 models are precision CNC-machined from high strength billet aluminum, and anodized in your choice of Black, Silver (clear metal) or vivid Gold finish. 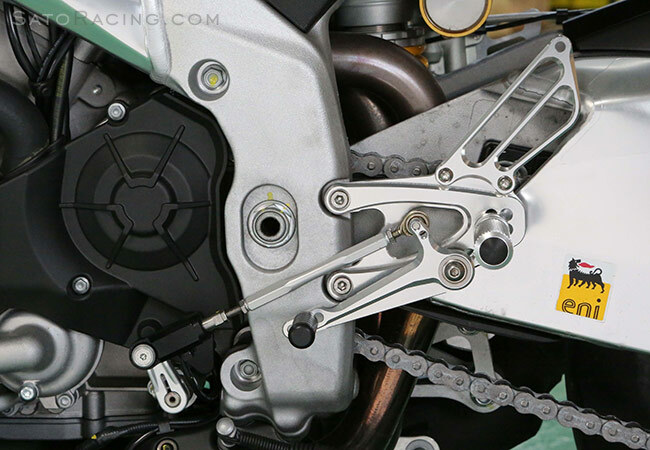 This track-tested design provides 5 adjustable foot peg positions in a range that brings your feet progressively higher up and further back compared to stock, for a more aggressive riding position well-suited to the fast straights and steep lean angles encountered on the track. 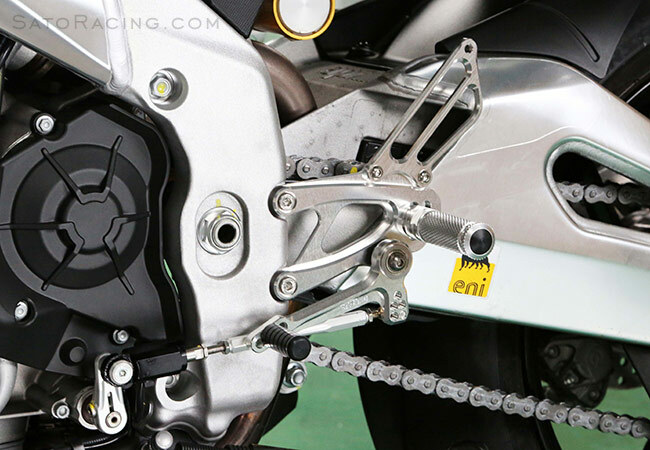 Fully compatible with the stock brake light switch and APRC. 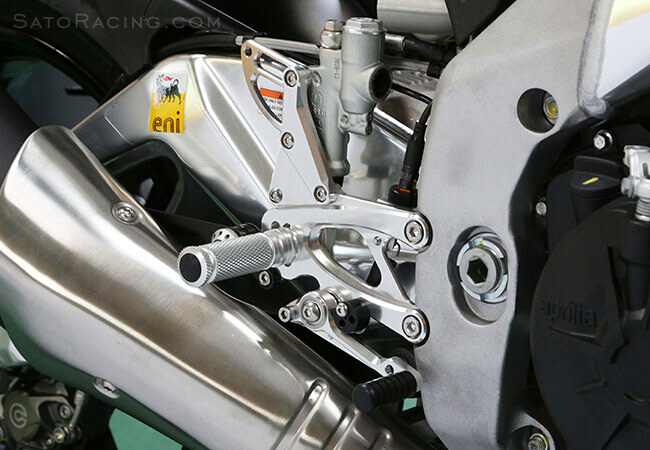 stock exhaust canister (not pictured) is also included with these Rear Sets.